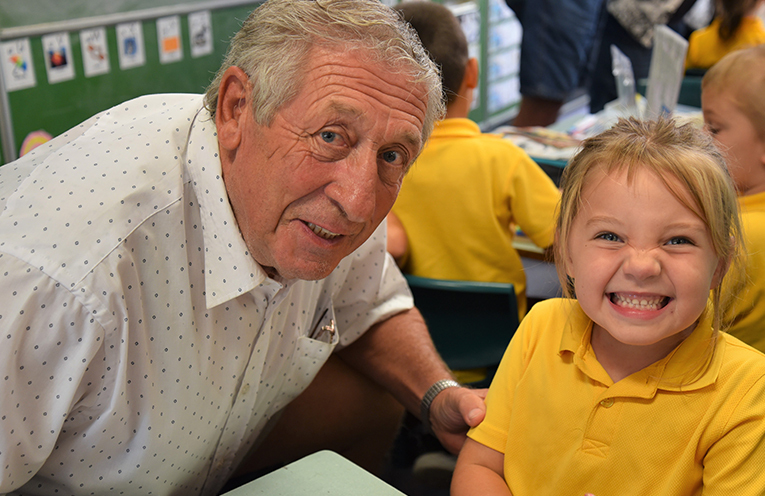 GRANDPARENTS DAY: Peter Turnbull and granddaughter Evie. 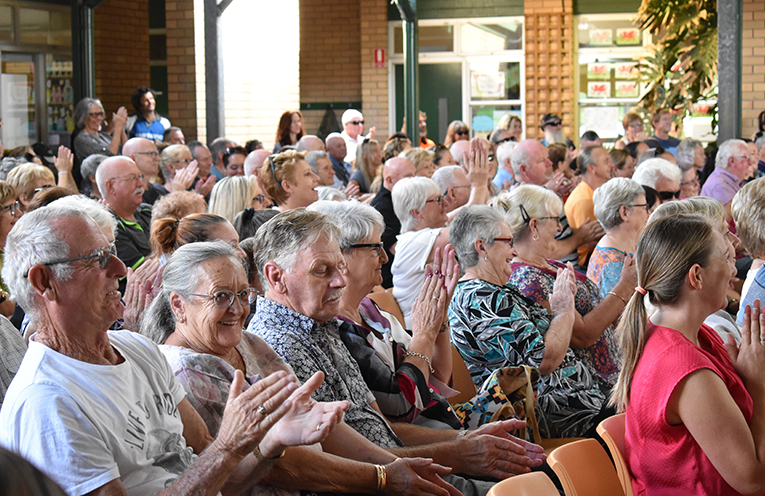 THERE was standing room only Tea Gardens Primary School recently for the annual Grandparents Day celebration. 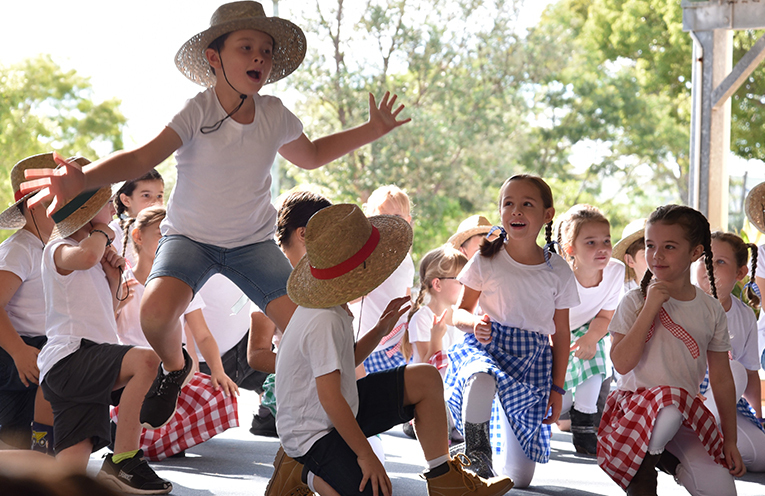 “This year we had a bumper crowd of grandparents and grand friends in attendance,” Principal Mark Clemson told News Of The Area. Among the big crowd were five generations of the one family. Students from each class performed on the day and then visitors were welcomed to open classrooms to share in some learning with the students. “Here, some grandparents helped design a trap to catch a leprechaun as part of a science and technology activity while others got to listen to their grandkids read or even interview their grandparents,” Mark said. Peter Turnbull from Cessnock has two granddaughters at the school, 5 year old Evie and Pippa aged 7. 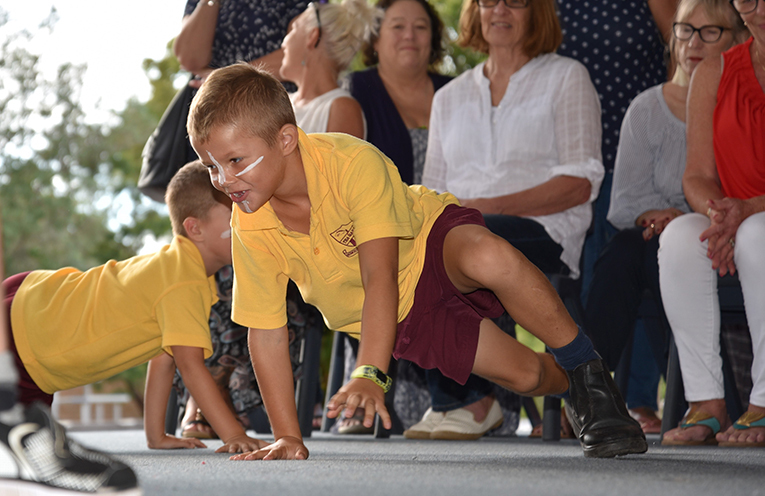 TEA GARDENS PRIMARY: Grandparents Day.